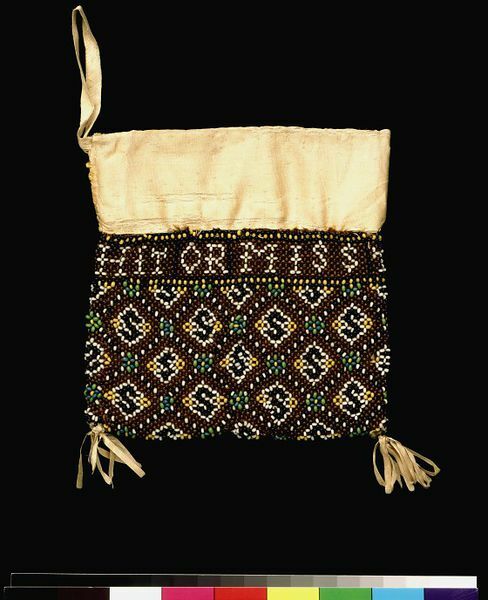 A number of beaded bags from the early 17th century survive. Their stylized floral patterns and less expensive materials imitate the elaborate embroidered versions carried by the aristocracy. Many bear mottos or expressions relating to charity, friendship or luck, which suggests that they may have been used for gifts of money. 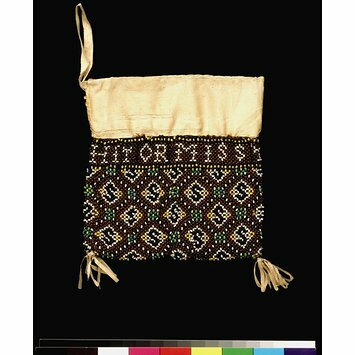 The development of the 'drawn-glass' technique about 1490 allowed the manufacture of large numbers of small, round, coloured beads with a central hole, of the type used in this purse. The glassworks on the island of Murano near Venice were the most famous during the Renaissance, but by the early 17th century the technology had spread to glass-making centres in Amsterdam and Bavaria. Beads were produced mainly for trade with North America and Africa, but they were also sold in Europe for use in embroidery. The expression 'hit or miss' is first recorded in the English language in William Shakespeare's play Troilus and Cressida published in 1606, where it has the same meaning of random luck that it has today. The expression may have derived from a country dance also known as 'hit and miss', recorded as early as 1626. 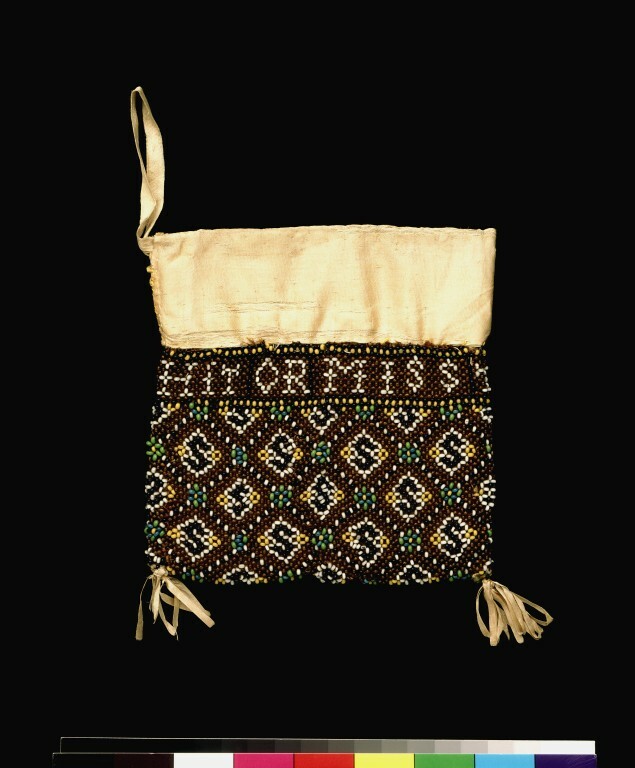 Purse of brown glass beads on a ground of netted silk. With a diamond diaper pattern in blue and white beads with clusters of green and blue beads at the intersections. In each diamond a letter 'S' in dark blue beads is surrounded by white and yellow beads. Lined with leather and buff silk. Two tassels of buff silk ribbon at the bottom. The beads possibly are from Venice, Italy.